This document contains best practice guidance for authors of HTML [[HTML5]] documents on providing text alternatives for images. This document was developed through the HTML Accessibility Task Force, and is published by the HTML Working Group with approval by the Protocols and Formats Working Group. It is a draft document and its contents are subject to change without notice. The body of this document is expected to be incorporated into HTML 5.1 directly. A list of existing bugs is available. Comments on this draft text should be filed at the W3C Bugzilla using the HTML WG Product and the LC1 alt techniques component, preferably with the a11y keyword. The HTML alt attribute can be placed on any img element. Its content should provide a short textual description of the image. Such descriptions help users who for any reason are unable to view the images. They are also used by software processing HTML documents, such as Web search engines and in-page user agent searches. Except where otherwise specified the alt attribute MUST be specified on every img element and MUST NOT be empty. The value SHOULD be an appropriate functional replacement for the image. The alt attribute is an essential part of making accessible documents as well as providing for text-based search engines and other consumers of HTML. Text such as the content of alt attributes intended to be used when images are unavailable is known as alternative text, and is an instance of a more general class of Text alternatives [[WCAG20]], a primary way of making visual information accessible. Text alternatives allow the information to be rendered in a variety of ways by a variety of user agents. For example, a person who cannot see a picture can have the text alternative read aloud using synthesized speech. Authors use text alternatives to provide the same information (or in many cases functionality) to people who cannot see an image. The function of an image depends on its context: a company logo, for example, might be part of identity branding on a home page but function as a navigation icon on other pages. Thus, the same image may need different alt text in different contexts. See also the longdesc attribute [[HTML-LONGDESC]] for a way to link to external text alternatives and image descriptions. The following sections give some principles for writing text alternatives with the alt attribute and suggest when to use the longdesc attribute to provide more detail. Additional guidance, techniques, and examples are available in Resources on Alternative Text for Images. The language of the attribute value cannot be marked as being different from that of the image element itself. This is not usually a problem in practice unless the image element was supplied by automated language-based document assembly; use the lang (and for the XML syntax the xml:lang attribute) to mark the language of the alternate text if it differs from that of the surrounding text. Attributes are plain text and cannot contain sub-elements. In particular this also means that fragments of MathML or SVG cannot be included in an alt attribute value, and that emphasis cannot be used. The value of the alt attribute will generally be rendered by an HTML user agent as replacement text in place of a broken or unavailable image, or if image display is disabled, or in a text-mode browser. The replacement text will usually be rendered in the space reserved for the image. If the text does not fit in the available space, some user agents will truncate the text and others might not display the text at all, reducing accessibility and usability of the document for sighted users in the case that images were not available. In at least some user agents the CSS overflow property may be used to allow the alternate text to extend outside the width and height allocated for the img element. Why are we mentioning something that only works in some user agents? I would strike this sentence - we should not be recommending techniquies that don't work portably. Text readers will generally read out the value of the alt attribute every time it is encountered, and may or may not provide the user with a way to skip to the end of the alternate text and to carry on reading out the document just after the image element. This means that documents should not contain overly burdensome alternate text even if it might fit in the available space. For visual differentiation, CSS styles such as color can be applied to the img element. Text that is for use as an alternative to an image but that contains formatting or markup (e.g., tables or equations) needs to be made available separately as described in the next section, Principles for providing text alternatives. In this case a short text alternative (e.g., Maxwell's Equations) SHOULD be used in the alt attribute. The alt attribute may be subject to XML “attribute value normalization” if the document is served as XML or processed by XML tools. In particular this normalization removes leading and trailing ASCII whitespace. Non-breaking spaces such as &#160; are not subject to normalization and can be used when concatenating the alt text value to surrounding text might cause unacceptable word joining. We mention described-at here, but it is 1) not approved and 2) we don't point that out until much later in the document. We should probably remove this reference or at least point to the information about its status. The Web Accessibility Initiative provides An fDecision Tree to help authors decide what to put into an alt attribute value. Where an image has a function (e.g., a button to press) or serves a clear purpose such as identifying the maker of a page by a company logo, be direct and simply give the purpose (e.g., Make Payment or W3C Logo ). If an image is used to stand for a special character, emoji, gaiji, itaiji, emoticon, or text in an unusual font, the alt text should simply be the text that is on the image, or a textual equivalent such as :-) for a smiling face. In many cases Web fonts can be used instead of images, and, provided that the fonts are correctly encoded and that the characters represented are in Unicode, user agents that do not use the fonts will still render the correct text. Recommended practice is to mark up mathematical equations with MathML. If this is not possible, sometimes a picture of an equation is used. Similarly even complex tables can usually be marked up in HTML directly, but sometimes a picture is used instead. In these and similar cases the alt attribute should be given a value such as Equation 7 or Table of wandering monsters by level . Since people seeing the image would not want to read the same content in two different forms, the information in the equation or table picture should then be presented in an external document, pointed to with a URI as the value of the longdesc attribute, for example longdesc = "equation007.html". It is often possible to represent charts, diagrams, and other explanatory sorts of pictures using [[SVG]]. This does not automatically make such pictures accessible, but different mechanisms then become available for embedding text alternatives in the SVG images. If SVG is for some reason not used then the same considerations as for images of equations and tables generally apply. A description of a diagram, however, may need to include information about the presentation as well as the information. For example, a government report in an archival format might mention the colors used in a bar chart in order to facilitate subsequent discussions. Where an image or diagram can be described adequately with a short piece of plain text that would easily fit in the space otherwise occupied by the image, that text should be used for the text alternative. If an image is purely decorative, it is not necessary to give it alt text; use an empty value for the alt attribute. If the image separates words of text an alternative text of an encoded single space (e.g., alt="") might be appropriate. When multiple images are placed together, for example to make up a frame or border or when a complex image is split into smaller images, only the first image should normally have explanatory text, in order to avoid tedious repetition from a screen reader. They have a slow connection and are browsing with images disabled. They have a vision impairment and use text to speech software. They have a cognitive impairment and use text to speech software. They are using a text-only browser. They are listening to the page being read out by a voice Web browser. They have images disabled to save on download costs. They have problems loading images or the source of an image is wrong. They are in an environment where focusing upon a screen is challenging and/or dangerous, and having the content read to them is a safer alternative (e.g., driving a vehicle). When an a element that is a hyperlink, or a button element, has no text content but contains one or more images, include text in the alt attribute(s) that together convey the purpose of the link or button. The image link is broken, and I don't see such an image name in the current HTML source. Where is this image? In this example, a link contains a logo. The link points to the W3C web site from an external site. The text alternative is a brief description of the link target. This example is the same as the previous example, except that the link is on the W3C web site. The text alternative is a brief description of the link target. Depending on the context in which an image of a logo is used it could be appropriate to provide an indication, as part of the text alternative, that the image is a logo. Refer to section on Logos, insignia, flags, or emblems. In this example, a link contains a print preview icon. The link points to a version of the page with a print stylesheet applied. The text alternative is a brief description of the link target. In this example, a company logo for the PIP Corporation has been split into the following two images, the first containing the word PIP and the second with the abbreviated word CO. The images are the sole content of a link to the PIPCO home page. In this case a brief description of the link target is provided. As the images are presented to the user as a single entity the text alternative PIP CO home is in the alt attribute of the first image. Readers can benefit when content is presented in graphical form, for example as a flowchart, a diagram, a graph, or a map showing directions. People unable to see the image for any reason will need the information provided in another form. Diagrams often convey a lot of information. This means that a textual alternative may be quite lengthy. The content of the alt attribute is in general limited to the amount of text that will fit in the space normally occupied by the image. In addition, it may be tedious for someone listening to an audio rendition of a Web page to have to skip over a lengthy description each time they reach the diagram. An appropriate technique, then, is to have a short description in the alt attribute, such as bar chart of product sales by region, and to link to a longer image description. An image description in this context is text, whether embedded in the main document or elsewhere, that would enable a reader to have a good idea of what the image looks like. This is different from an alternate representation in that, for example, it might mention that a pie chart is circular or that the items in a bar chart are horizontal rows, and should mention any significant colors. Such a description can enable people to participate in conversations about the image, or to answer examination questions that might rely on the way the information is represented and not just the underlying data. The description would not interest people able to see the image itself. The description might be lengthy enough to annoy people who can see the image, or confuse people reading the page. The description is provided by a third party, for example for diagrams in examination questions. The information takes more than a few words to describe but is still of use to someone who can see the image. A user might reasonably want to select the text alternative, or to find it with a browser search function, regardless of whether the image is displayed. The text alternative requires structured markup such as MathML, tables, emphasis, multiple paragraphs, links, or Japanese ruby annotations. Attributes such as alt cannot contain elements. The text alternative is not in the same language as the main document. Attributes such as alt cannot be marked with xml:lang for language. The following example is taken from a (fictional) examination question on simple color theory. 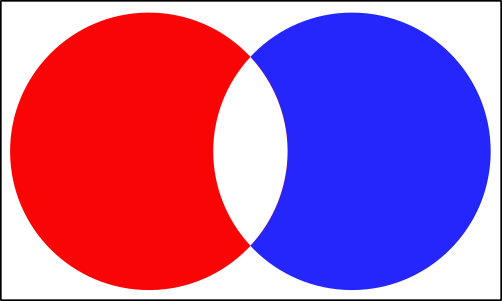 Someone unable to see the image would need to know that the two circles are colored red and blue respectively, and that the white area is where the circles overlap. Someone able to see the image would not want to waste time in an exam context reading such a description. In addition, the description is too long for an alt attribute value. What color should be used to complete the white part of the diagram, assuming a reflective color model? The text alternative is more than a few words long, or is complex or detailed. A user might reasonably want to select the text alternative, or to find it with a browser search function. The text alternative requires structured markup such as MathML, emphasis, multiple paragraphs, links, or Japanese ruby annotations. Attributes such as alt cannot contain elements. The text alternative might need to be translated into other languages, or is not in the same language as the main document. Attributes such as alt cannot be marked with xml:lang for language. Although the alt attribute is essential to enable someone to understand which image was not rendered, it should not be relied on to convey detailed content. Here's an example of a flowchart image with a short text alternative included in the alt attribute. In this case the text alternative is a description of the link target as the image is the sole content of a link. The link points to a description (within the same document) of the process represented in the flowchart. In this example, there is an image of a chart. It would be inappropriate to provide the information depicted in the chart as a plain text alternative in an alt attribute as the information is a data set. Instead a structured text alternative is provided below the image in the form of a data table using the data that is represented in the chart image. Indications of the highest and lowest rainfall for each season have been included in the table, so trends easily identified in the chart are also available in the data table. Average rainfall in millimeters by country and season. The table image and data table are grouped using a figure element with a [[WAI-ARIA]] role="group". The figure is labelled by the table caption content using aria-labelledby. Once figure and figcaption are accessibility supported in browsers, the addition of ARIA attributes will not be required. Sometimes an image contains only text, and the purpose of the image is to display text using visual effects and/or fonts. It is strongly recommended that text styled using CSS be used, but if this is not possible, provide the same text in the alt attribute as is in the image. This example shows an image of the text "Get Happy!" written in a fancy multi colored freehand style. The image makes up the content of a heading. In this case the text alternative for the image is "Get Happy!". When an image is used to represent a character that cannot otherwise be represented in Unicode (e.g., gaiji, itaiji, or new characters such as novel currency symbols) the text alternative should be a more conventional way of writing the same thing (e.g., using the phonetic hiragana or katakana to give the character's pronunciation). An image should not be used if Unicode characters would serve an identical purpose. Only when the text cannot be directly represented using Unicode (e.g., because of decorations or because the character is not in the Unicode character set) would an image be appropriate. If necessary Web fonts can be used to supply specific representations for Unicode characters. This is preferable to the use of images because a text reader or search engine can process the Unicode character directly. An illuminated manuscript might use ornate forms for some of its letters. The text alternative in such a situation is just the character that the image represents. In many cases an image is actually just supplementary &emdash; its presence merely reinforces the surrounding text. In these cases, the alt attribute must be present but its value MUST be the empty string. It is not always easy to write a useful text alternative for an image. Another option is to provide a link to a description or further information about the image when one is available. In this example of the same image, there is a short text alternative included in the alt attribute, and there is a link after the image. The link points to a page containing information about the painting. A poem by Alfred Lord Tennyson. Full recitation of Alfred, Lord Tennyson's poem. Purely decorative images are visual enhancements, decorations, or embellishments that provide no function or information beyond aesthetics to users who can view the images. Mark purely decorative images so they can be ignored by assistive technology by using an empty alt attribute (alt=""). Here's an example of an image being used as a decorative banner for a person's blog. The image offers no information and so an empty alt attribute is used. I <img src="heart.png" alt="love"> you. My <img src="heart.png" alt="heart"> breaks. Unicode characters could be used as an alternative to inline images where appropriate. Modern browsers have support for characters like "♥" and "☺", and support the use of custom fonts to render those as colored image fonts. If an img element has a usemap attribute which references a map element containing area elements that have href attributes, the img is considered to be interactive content. In such cases, always provide a text alternative for the image using the alt attribute. Generally, slicing an image for links should be used instead of image maps as fallback support for image maps is poorly supported. The img element is in a figure element. The figure element contains a figcaption element. The figcaption element contains content other than inter-element whitespace. Ignoring the figcaption element and its descendants, the figure element has no Text node descendants other than inter-element whitespace, and no embedded content descendant other than the img element. In other words, the only content of the figure is an img element and a figcaption element, and the figcaption element must include (caption) content. Such cases SHOULD be kept to an absolute minimum. If there is even the slightest possibility of the author having the ability to provide real alternative text, then it would not be acceptable to omit the alt attribute. In this example, a person uploads a photo, as part of a bulk upload of many images, to a photo sharing site. The user has not provided a text alternative or a caption for the image. The site's authoring tool inserts a caption automatically using whatever useful information it has for the image. In this case it's the file name and date the photo was taken. Notice that even in this example, as much useful information as possible is still included in the figcaption element. In this second example, a person uploads a photo to a photo sharing site. She has provided a caption for the image but not a text alternative. This may be because the site does not provide users with the ability to add a text alternative in the alt attribute. CAPTCHA stands for "Completely Automated Public Turing test to tell Computers and Humans Apart". CAPTCHA images are used for security purposes to confirm that content is being accessed by a person rather than a computer. This authentication is done through visual verification of an image. CAPTCHA typically presents an image with characters or words in it that the user is to re-type. The image is usually distorted and has some noise applied to it to make the characters difficult to read. To improve the accessibility of CAPTCHA provide text alternatives that identify and describe the purpose of the image, and provide alternative forms of the CAPTCHA using output modes for different types of sensory perception. For instance provide an audio alternative along with the visual image. Place the audio option right next to the visual one. This helps but is still problematic for people without sound cards, the deaf-blind, and some people with limited hearing. Another method is to include a form that asks a question along with the visual image. This helps but can be problematic for people with cognitive impairments. It is strongly recommended that alternatives to CAPTCHA be used, as all forms of CAPTCHA introduce unacceptable barriers to entry for users with disabilities. For further information, see [[TURINGTEST]]. 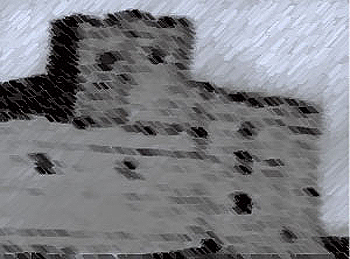 This example shows a CAPTCHA test which uses a distorted image of text. The text alternative in the alt attribute provides instructions for a user in the case where she cannot access the image content. The primary method for providing text alternatives for images is by including text in the img element alt attribute. In graphical browsers the content of the alt attribute is typically displayed along with an indication (bordered area and/or an image icon) of the presence of an image when the image is not displayed, because the user has disabled image display or the image source information is incorrect. Assistive technologies such as screen readers will typically announce the presence of an image followed by the alt attribute content. Text based browsers may display the alt attribute content in brackets or in different colored text or as the content of a link to the image or as text without any indication of the image or prefixed with an indication of the image. Robust support in most graphical & non graphical web browsers and assistive technologies. Text alternative is explicitly associated with the image. Inclusion of text alternatives as alt attribute content does not impact upon the default visual display of content. Content of the alt attribute is not available to some users who may find it useful. If the alt attribute content is too long it may cause display issues in some browsers. If the alt attribute content is too long it may cause reading issues in some assistive technologies. The entire contents of the alt attribute are read by assistive technologies every time the image is encountered, with no possibility of skipping and no distinction from the surrounding text. Semantic structure cannot be added to alt attribute content. Is alt attribute content a replacement for an image? When an image contains too much information to use the alt attribute as a container for a text alternative, the alt attribute content can be a label for the image. This label MAY be a brief description that identifies the image. This SHOULD be accompanied by a more complete text alternative that is programmatically associated with the image. When an image contains structured information that cannot be conveyed using the alt attribute as a container for a text alternative, the alt attribute content SHOULD be a label for the image. This label MAY be a brief description that identifies the image. This SHOULD be accompanied by a structured text alternative that is programmatically associated with the image. When an image is used to represent text and it is the author's intent that the purpose of using an image of text is to achieve a visual style, the alt attribute content SHOULD be considered as a replacement for the image. When an image is decorative and it is the author's intent that it not convey any information, an empty alt attribute SHOULD be considered as an indication that the image can be safely ignored. When it is the author's intent that the image is not to be seen by users, an empty alt attribute SHOULD be considered as an indication that the image can be safely ignored. When an image is immediately preceded or followed by a text alternative and the image and the text alternative are not complex in nature, an empty alt attribute SHOULD be considered as an indication that the image can be safely ignored. When an image is the sole content of a link, the alt attribute content SHOULD be a brief description of the link target. When an image is the content of a link and is immediately preceded or followed by a brief description of the link target, the alt attribute content SHOULD be empty. When an image is the content of a link that also contains structured text content, if the text content is a description of the link target, the alt attribute content MAY be empty or a text alternative for the image. If the text content is not a description of the link target, the alt attribute content SHOULD be a brief description of the link target. Using an empty alt attribute alt=""
An image is purely decorative. An image is not meant to be visible to any user. An image consists of text that is repeated as text or a graphical symbol whose meaning is conveyed as text, immediately before or after the image. The image is part of a group of images that form a single larger picture and one of the other images in the group has a text alternative which serves as the text alternative for the single larger picture. The image is included as the content of a link and there is text content included that clearly describes the link target. An image is contained within a figure element and has an associated caption provided using the figcaption element. Using an empty alt attribute hides an image from some users. If an image has a caption the image needs to be discoverable by users, otherwise a caption is present that refers to nothing for some users. An image contains relevant information not available in the same document as text. Using an empty alt attribute hides an image from some users. 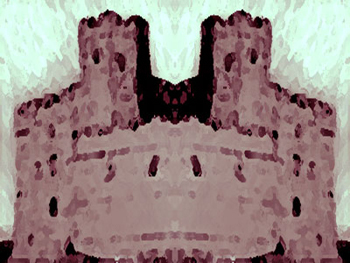 In order to have the possibility of interrogating the image, the image must be discoverable. An image contains relevant information, an alternative interpretation of which is available in the same document as structured text. Using an empty alt attribute hides an image from some users, which is incorrect. The image is not meaningless, it contains information which a range of users could interpret with the aid of the short text alternative and longer description. It also provides a text alternative for users who have images turned off in their browsers, so they can load and view the image if they wish. If an empty alt attribute is present there may be no indication that an image is present. Furthermore if a description of an image is provided in a document, a programmatic association between the image and the descriptive text is required. Using an empty alt attribute on the image effectively precludes the assigning of a programmatic association. How long should a text alternative be? A text alternative for an image should be as long as it needs to be to adequately convey the information in the image in the context in which the image is being used. How long should an alt text be? While there are no definitive right or wrong lengths for text alternatives provided using the img element's alt attribute, the general consensus is that if the text alternative is longer 30-50 words (2 to 3 sentences), it should not be considered a short text alternative and should not be presented using the alt attribute. Refer to the section - Graphical Representations: Charts, diagrams, graphs, maps, illustrations for example methods of providing longer text alternatives for images. A text alternative provided using the alt attribute is exposed to screen reader users as a text string, generally announced as a chunk, and cannot be structured into paragraphs or have other markup added to aid comprehension. It also cannot usually be interrupted, so brevity can be of considerable value. 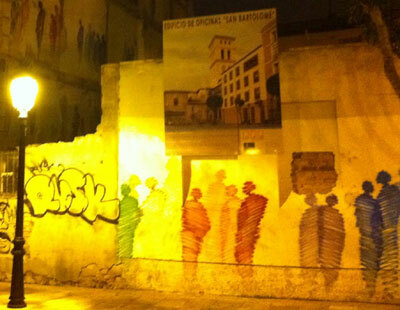 <figcaption>Drawings on the walls of a partially demolished building (photo). When supported by browsers and assistive technology the content of the figcaption will be explicitly associated with the image. The figure and figcaption elements are not currently accessibility supported by all browsers. partially demolished building, illuminated by the light from a street lamp (photo 1). In cases where there is a group of related images each having an associated caption, it is recommended that nested figure and figcaption elements be used. 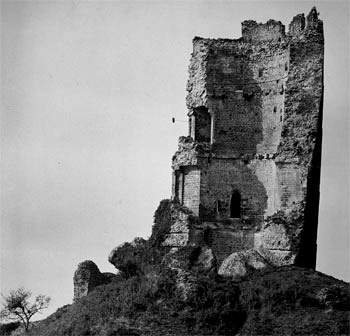 The castle through the ages: 1423, 1756, and 1966 respectively. Oil-based paint on canvas. Eloisa Faulkner, 1756. Film photograph. Séraphin-Médéric Mieusement, 1936. The title attribute MUST NOT be used to provide a text alternative for an image. The title attribute MUST NOT be used to provide a caption for an image; use the figure and figcaption elements to provide a caption, as described above. Gaiji is a term meaning "external characters". In general, this means characters that are not represented in existing Japanese encoding systems such as [[UNICODE]]. When gaiji is used as a "hack" to display a character that is adequately represented by a real Unicode character, the recommended practice is to remove the gaiji image and just use the Unicode character. When gaiji is used to display a character that is not available in a particular font, the alternative text should be the Unicode character. When gaiji is used to represent a graphical image similar to those displaying emoji, use a short description of the image's content (e.g. "thumbs up", "sunrise", or "smiling woman"). When gaiji is used to represent a new or made-up character that has no Unicode representation, use the phonetic hiragana or katakana string to represent the pronunciation of the new or made-up character. Operating systems and other platforms provide a set of interfaces using an accessibility API that expose information about objects and events to assistive technologies. Assistive technologies use these interfaces to get information about and interact with those widgets. Examples of this are the Java Accessibility API [JAPI], Microsoft Active Accessibility [MSAA], the Mac OS X Accessibility Protocol [AXAPI], the Gnome Accessibility Toolkit (ATK) [ATK], and IAccessible2 [IA2]. The accessible name is the name of a user interface element. Each platform accessibility API provides the accessible name property. The value of the accessible name may be derived from a visible (e.g., the visible text on a button) or invisible (e.g., the text alternative that describes an icon) property of the user interface element. Alt text is a colloquial term for a text alternative provided using the alt attribute of an img element. Information and sensory experience to be communicated to the user by means of a user agent such as a web browser, including code or markup that defines the content's structure, presentation, and interactions. Note: This includes ASCII Art (which is a pattern of characters), emoticons, leetspeak (which uses character substitution), and images representing text. It must be possible for people using assistive technologies to find the text alternative for an image when they encounter the image that they cannot use. To accomplish this, the text must be "programmatically associated" with the image and is referenced as programmatic association. This means that the user must be able to use their assistive technology to find the alternative text (that they can use) when they land on the image (that they can't use). Incomplete and in no particular order - Heydon Pickering, David MacDonald, Laura Carlson, Josh O Connor, Gez Lemon, Anne van Kesteren, Ian Hickson, Mike Smith, Mike Paciello, Bim Egan, Gregory Rosmaita, Michael Cooper, Janina Sajka, Matt May, Bevi Chagnon, Jonathan Avila, Pat Rees, Charlie Pike, Andy Maseyk, Rich Clark.